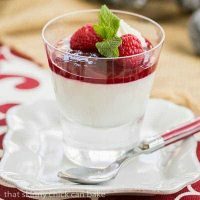 Raspberry White Chocolate Cheesecake Parfaits are no-bake cheesecake flavored with both white chocolate and Frangelico. 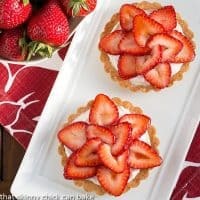 These homemade cheesecake desserts are elegant and easy to make! My family loved when I made Strawberry Cheesecake Parfaits, so why not a Raspberry White Chocolate Cheesecake Parfaits? I decided to up my game and mix in some white chocolate AND hazelnut liqueur, which is an outstanding pairing. Topping with a couple fresh berries and a sprig of mint is an easy way to turn a simple dessert into something elegant. I piped a little leftover cheesecake filling on top to anchor the mint. Voila! 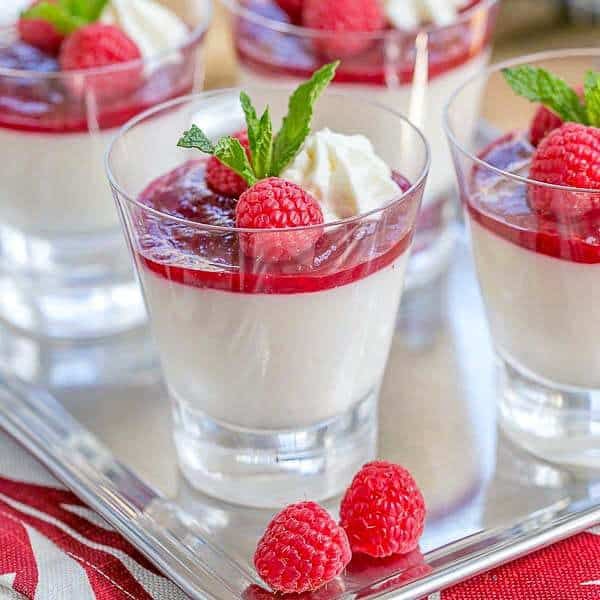 Raspberry white chocolate cheesecake parfaits are a dessert worthy of a special occasion. 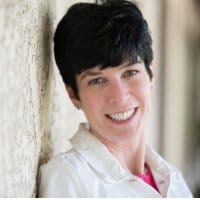 Last summer, I attended the Food & Wine Conference in Orlando. What a blast! I met a slew of bloggers that I’d been “friends” with via our blogs, but never met in person and reconnected with some treasured blogger friends. We laughed, we learned, we stayed up late, we enjoyed incredible food and wine. I knew I’d return this year. And as a bonus, I won second place with my Raspberry Chambord Brownies in Dixie Crystals’ Brownie Contest which just happened to be served at our homestyle, “Sunday Supper” dinner. The ultimate compliment was when a gluten-free blogger friend said she broke her diet to taste one of my desserts. An honor in so many ways. If you’re a blogger, check out the conference details, including how to register—I guarantee you’ll learn SO much! Bill swooned with his first bite. So after this high praise (you know he’s a hard sell), I decided this was the recipe to submit to the Dixie Crystals Chocolate Dessert Recipe Contest. Cheesecake? Raspberries? White Chocolate? Frangelico? All wrapped into one spectacular dessert! Definitely a winner at our house. If you’d like to enter, check out the details on the Food & Wine Conference website. There are cash prizes and full conference passes to be won! Develop an original recipe for a chocolate dessert. It cannot be an adapted or previously published recipe. Publish a blog post with the recipe between March 30 and April 17, 2015. 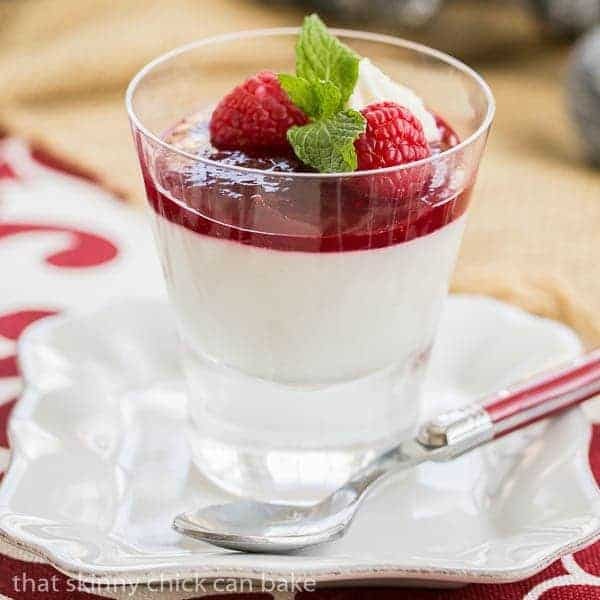 I hope you enjoy the Raspberry White Chocolate Cheesecake Parfaits! In a saucepan, combine raspberries, sugar and lemon juice. Simmer and stir occasionally till berries break down. Mix together cornstarch with a tablespoon of water to make a slurry (you can add a little more water if needed). Mix into hot raspberry sauce and cook till mixture thickens. Strain with a mesh sieve to remove seeds and set aside to cool to room temperature. Carefully melt the chocolate in the microwave, stopping at 30 second intervals to stir, till chocolate is smooth. Set aside. Whip cream with whisk attachment of stand mixer till stiff peaks form. Place in another bowl and fit mixer with paddle attachment. Whip the cream cheese with the paddle attachment till light and fluffy. Add powdered sugar, vanilla and Frangelico and mix till combined. Add melted chocolate and mix till combined. Fold in whipped cream. 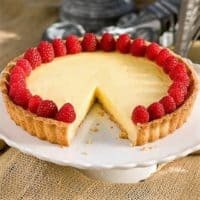 Divide cheesecake mixture between 4-6 glasses/serving dishes and smooth tops. Reserve a few tablespoons if you’d like to pipe a star on top of each parfait.Pour some raspberry sauce over each parfait till it is evenly distributed. Spread to cover top of cheesecake. 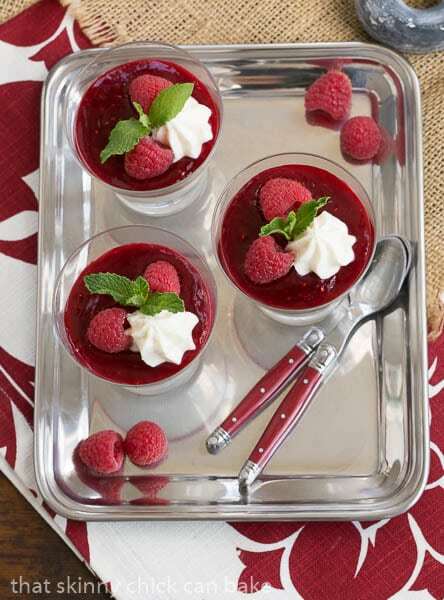 Pipe a star of filling over raspberry sauce and garnish with berries and mint if desired. Chill for an hour before serving. Prep time does not include an hour of chilling. White chocolate and raspberries! Such a great combination. PS-Forgot to say congrats on the contest, that’s very exciting!!! What a great combination! These parfaits look heavenly! This looks amazing Liz – your are going to win again!!!! I need to bookmark this – it would be so lovely to serve at a baby shower? Raspberry sauce did it for me, Liz! 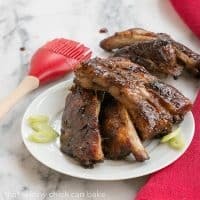 It looks so pretty and sounds delicious! Liz this one looks like a winner – it’s so elegant! Your parfait looks spectacular. I can practically taste it now! And those brownies sound unbelievable. 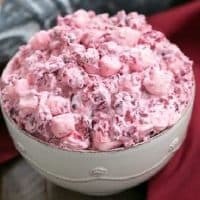 i love the raspberry-white chocolate combo and the Frangelico really kicks it up a notch! These are such pretty parfaits, I love your perfect layers! I’m tempted to enter this contest, but I feel like first place is already taken! 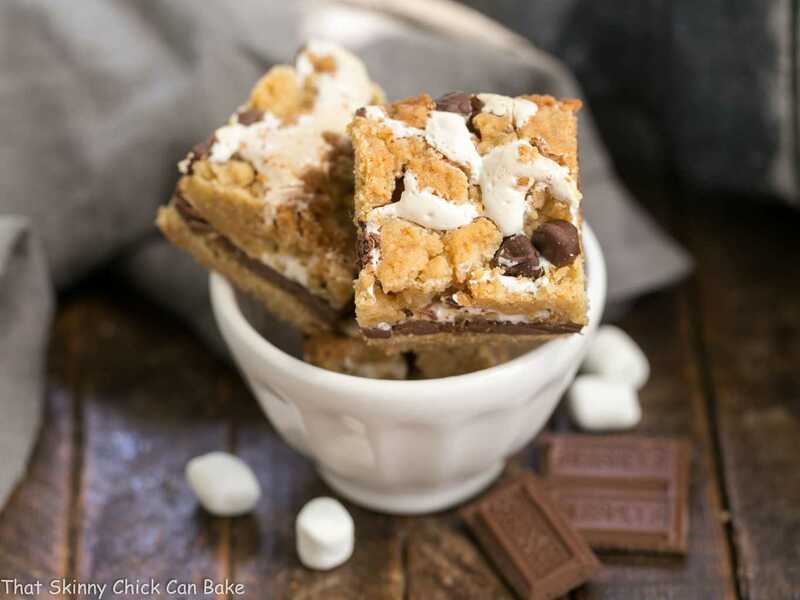 These look and sound absolutely delicious, Liz! Beautiful presentation! 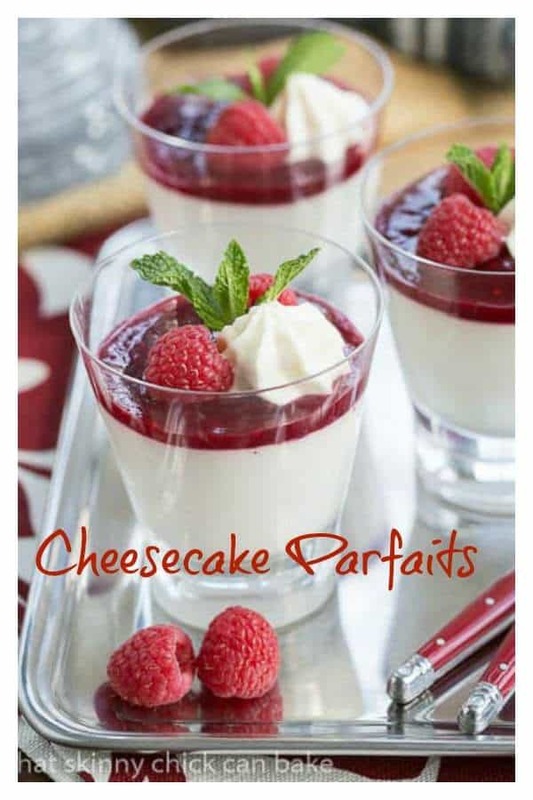 These parfaits are definitely true to their French name… perfect! 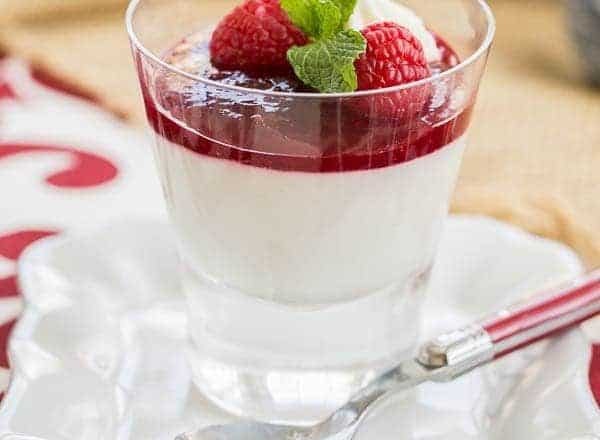 This raspberry white chocolate cheesecake parfaits looks and sounds incredible. It had to be really exciting to win second place last year, looks like your recipe this year will be a winner too. Hi Liz, clicked on this link from a FB share group we’re in and just had to comment! Your photos are gorgeous and your cheesecakes look amazing!! 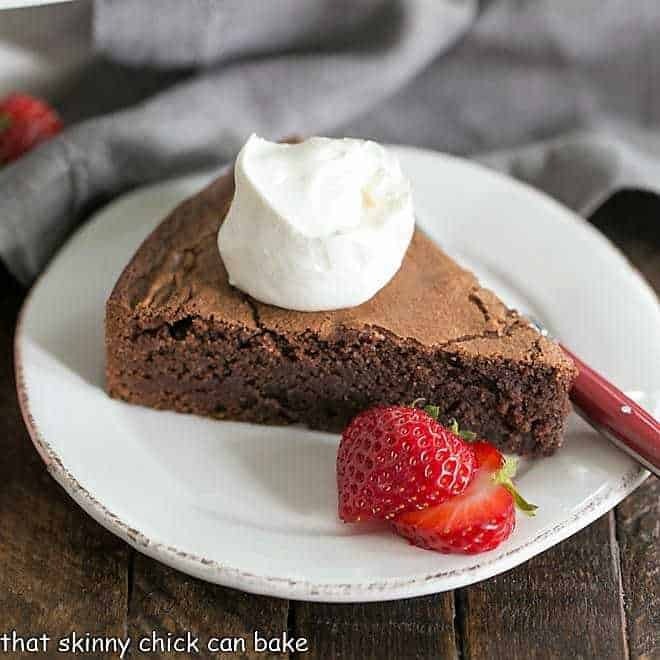 Sadly I can’t eat dairy any more, but I know the other guys in my house would adore this dessert, pinned! So glad you had a great time at the conference and yay for winning second place! These parfaits are gorgeous, Liz! Love the white chocolate and raspberry combo! Congratulations on your win! 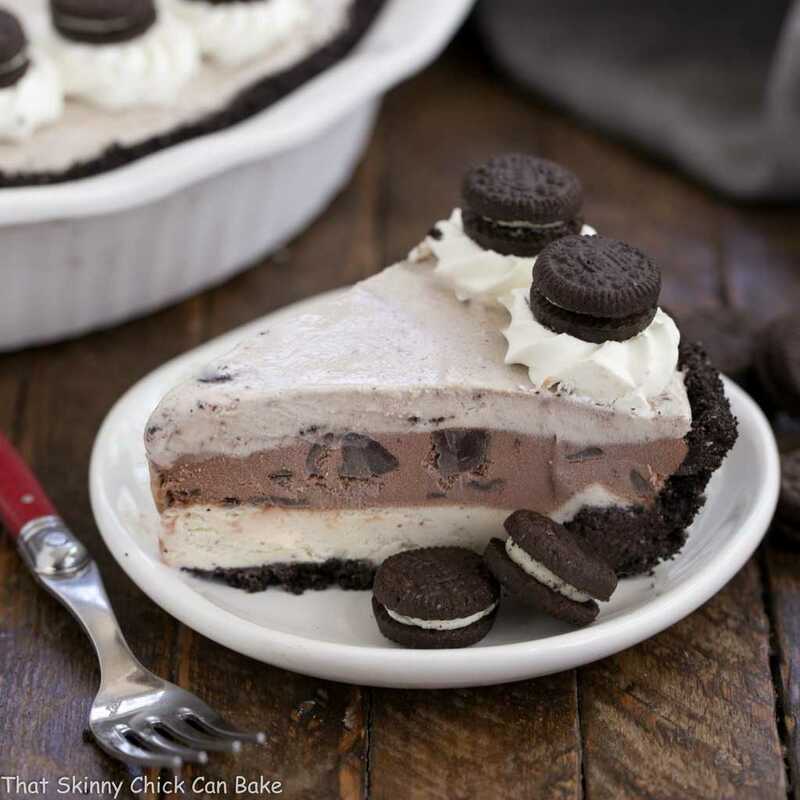 Every dessert you make is a winner! This is definitely a winner Liz! 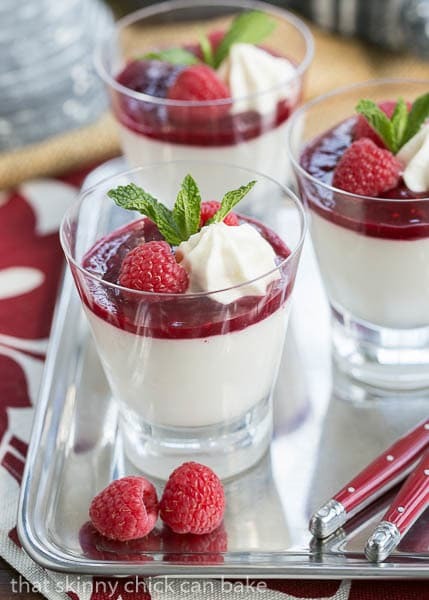 What a wonderfully elegant dessert I love raspberries and white chocolate together and I know I would love this! Congrats on winning the contest! How exciting. I would break any diet, if I got the chance to eat one of your desserts. I have nothing to say, just that it looks MOUTH-WATERING !! These parfaits are over the top delicious oo0king as I am sure they are everyone would love them!